I've always had fine hair. 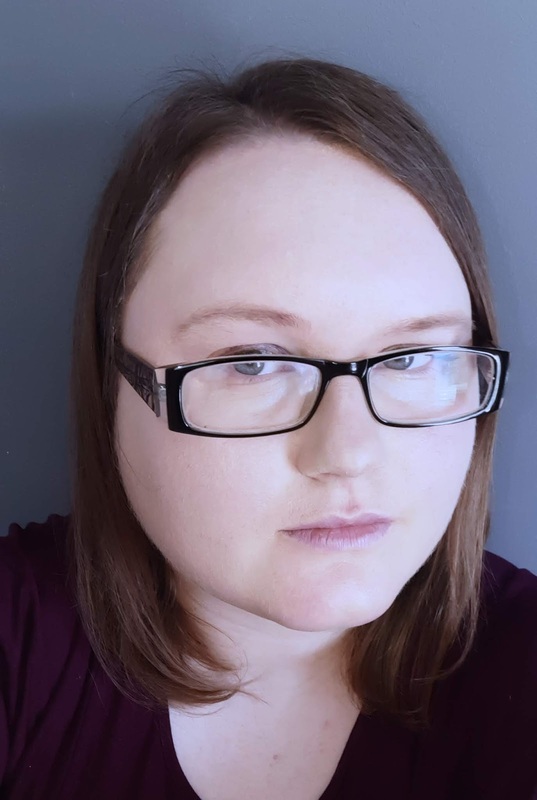 Limp and lifeless hair has been something I have struggled with over the years, and I've found myself trying to find ways to add volume. Other than making sure i get my hair trimmed regularly, using the correct hair care products is important. As well as using the correct products it's also important you use them correctly. An example of this is using conditioner only on the ends of my hair to prevent weighing it down and causing greasiness. 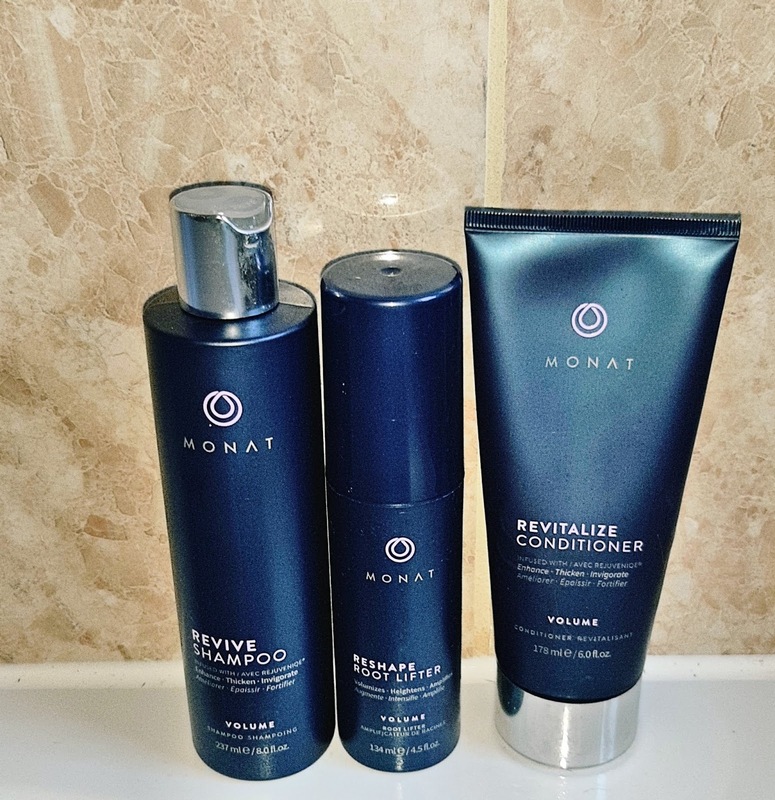 I've recently had a chance to try out a wonderful hair care range from a company called MONAT. 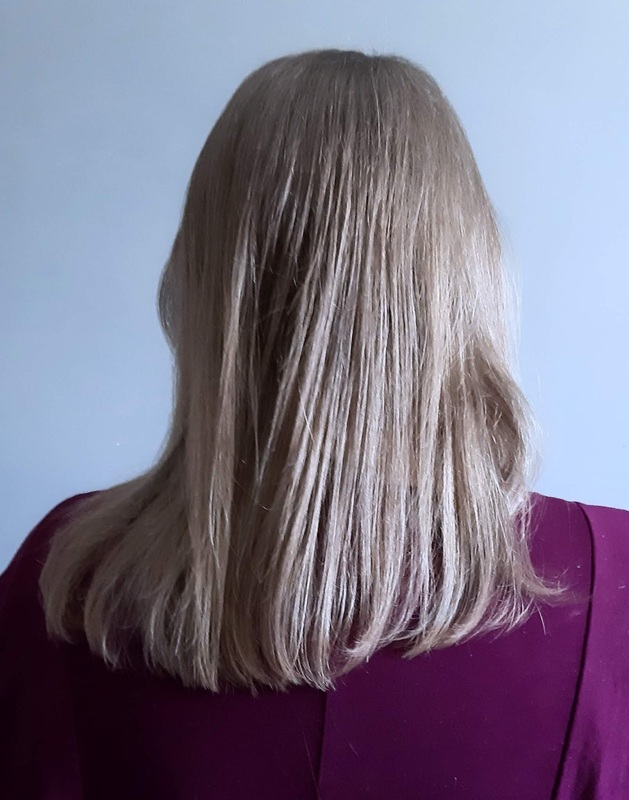 They sell a wide range of hair care products for all sorts of hair types and I got to try out the MONAT Volume System. The three step system enhances volume and invigorates your hair while adding fullness and manageability. The MONAT Revive Shampoo cleanses whilst volumizing adding body to fine and limp hair. The Revitalise Conditioner is a gentle formular that delivers moisture and vital ingredients to aid plumping and energiseses hair from root to tip. Last of all in the system is the Reshaper Root Lifter which is a root amplifying spray that creates long lasting high impact volume. It also protects hair from damage against heat styling and increases shine to your locks. MONAT says no to toxic ingredients, meaning I'm happy knowing that I'm using products that are safe. My hair has definitely been feeling a lot thicker than previously, whilst using the range. I've also been finding my hair has definitely been easir to manage as well. Some days I've been lucky to not have to use straighteners as my hair hasn't been as frizzy. You can buy the set for £85 or you can purchase them individually. Shampoo (£30), conditioner (£45) and roof lifter ( £30). If you are blessed with hair that doesn't needed extra voomp than there are other sets available to suit your hair type. MONAT also offer the chance to become a Market Partner, where you can actually sell the products and earn a percentage.You can get started for just £99 which includes your personal MONAT website, training & marketing materials and 35 samples that you can share, or keep to yourself, and a generous 30% off the retail prices of the products. This is an ideal opportunity for SAHM's like myself as hours are flexible and you can work right from your sofa. By taking up the opportunity to become a Market Partner MONAT offers product packs to get you started. This allows you the chance to try out some of the products you will be selling at up to 55% savings.